>What it is: A full-coverage concealer formulated specifically for the under eye area. 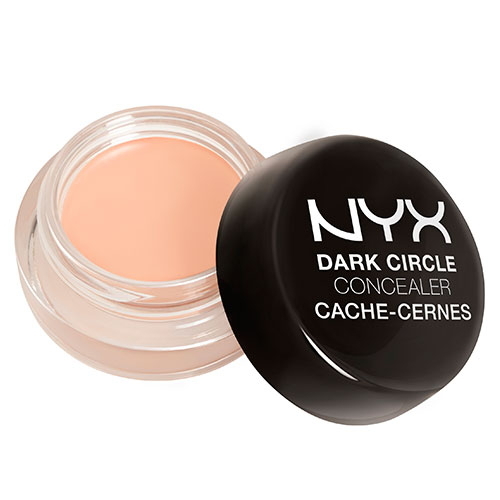 >What it does: Conceals dark under eye discoloration. >Why we love it: This non-tugging formula is the perfect trio of benefits with color-correcting pigments, moisturizing ingredients and light-deflecting particles to conceal even the most challenging under eye circles. >How to use: Apply directly under eyes with ring finger or concealer brush. May be set with powder if desired. INGREDIENTS: Octyldodecanol, Caprylic/Capric Triglyceride, Ethylhexyl Palmitate, Kaolin, Copernicia Cerifera (Carnauba) Wax / Copernicia Cerifera Cera / Cire de Carnauba, Euphorbia Cerifera (Candelilla) Wax / Euphorbia Cerifera Cera / Cire de Candelilla, Aloe Barbadensis Leaf Extract, Glycerin, Alumina, Tocopheryl Acetate, Phenoxyethanol. MAY CONTAIN / PEUT CONTENIR (+/-): Titanium Dioxide (CI 77891), Iron Oxides (CI 77491, 77492, 77499).